Let’s see who get to win today. Is it Donald Trump or Bernie? Let’s see. The states in which polling took place are Florida, Ohio, Illinois, North Carolina, Missouri, and Northern Mariana Islands. The result will be out shortly for different regions. The result of the campaign carried out by Trump in areas where voters cast their votes will decide his future. It will be soon clear if he has played well utilizing his words to create controversies during rallies. Trump has presented himself in a very different way from others. It will be voters who will decide if he is good or bad. March 15 will be the judgement day for Trump as either the positive response will emphasize him as a deserving candidate and thus, he will get the nomination, but if the answers are negative, he will be dragged into a protracted political lawsuit. And it would take weeks to get resolved. The second possibility will come if Trump fails if he fails to get the support of all 1237 delegates required for the work. After getting the nomination, there won’t be any problem. The primary season will get over on June 7. If none of the candidates gets to get the nomination with the clear majority then, it will be left to the political backroom which will take place at the convention. Talking about only Tuesday, Trump may face a little problem in just one state, Ohio. One online daily portal said that the state’s governor, John Kasich slightly has an edge over Trump. Stay tuned here with the stream live videos made available below. 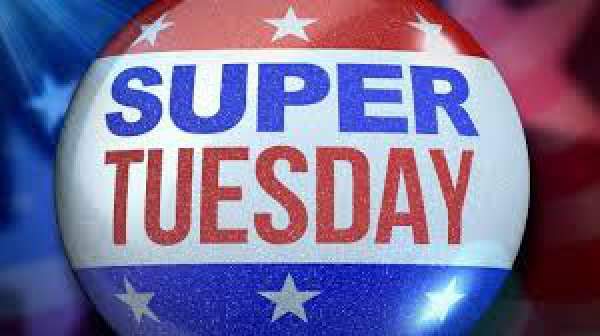 They will give the results of both the Republican and Democratic primary day Super Tuesday election voting. On Tuesday, the voting started at 6:30 am ET and will close at 7 pm ET / 4 pm Pacific time. Florida has the maximum number of delegates. There are 99 Republicans and 246 Democrats divided proportionally. Newsmax Live Stream for the Primary Election Results. Stream Live Stream Updates of Election Primary Results.